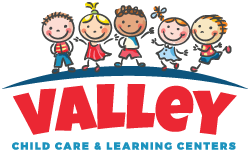 Welcome to Valley Child Care & Learning Centers! Finding affordable preschool services can be difficult. Fortunately, at Valley Child Care & Learning Centers, we’re here to help your little one learn and grow with their peers. We have taken monumental steps to partner with Quality First, a First Things First program that is centered around equipping teachers with the tools needed to help children grow. We do all of this so that you can rest easy knowing that your kiddo is receiving a second-to-none education at an affordable rate. Developmentally Appropriate Practice means that the activities and programs in our preschool curriculum consider what a child is ready for and able to understand. 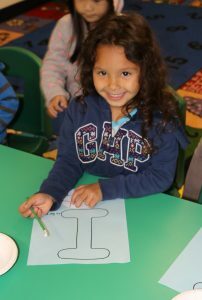 At Valley Child Care & Learning Centers, the children in our program range between the ages of 0 and 5. For children at this stage in their life, it is developmentally appropriate to offer them a range of opportunities to interact with their environment. What Are the Benefits of Being Developmentally Appropriate? Full-day developmentally appropriate curriculum, which begins in our infant room and continues throughout the toddler years. A complete full-day preschool program that is focused on preparing your child for success in Kindergarten. Assessments based on developmentally appropriate expectations will be provided for your child twice a year. While feedback will be available on a daily basis, parent-teacher conferences are also offered, and encouraged, to ensure continuous communication. If you are interested in learning more about Valley Child Care & Learning Centers, schedule a tour at one of our 10 convenient locations in Arizona today.